LaBree Paukner grew up in South Beloit, Illinois. After attending preschool at Mount Olive Lutheran Church in Rockford, Illinois, she attended all public schools until college. She is a 2011 graduate of Concordia University Chicago (River Forest), where she earned a Bachelor of Arts in Elementary Education. She also had concentration areas in middle school and history. Her student teaching experience took place in 5th grade at Immanuel Lutheran School in Belvidere, Illinois. Before she was called to Elm Grove a year later, she was an assistant teacher/tutor for a 2nd grade Title I (special needs) classroom in Loves Park, Illinois. She also worked at Northern Illinois Fear Fest, her parents’ haunted barn and hayride that they run each October. 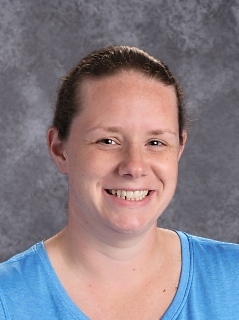 In her seventh year at EGL, LaBree teaches PK3-8th grade Physical Education, 5th-8th grade Health, 7th grade Homeroom, 7th grade Language Arts/Spelling, and 7th/8th grade Computers. Despite the heavy load of classes, she also enjoys helping out in the music department, playing with the Jubilate Ringers and Band each week. She loves having a job that allows her to use such a great variety of her God-given talents! Her favorite part about teaching Physical Education is helping students find a variety of fun ways to lead an active lifestyle. The healthier they are, the better equipped they are to serve the Lord! Jeremiah 29:11, which states: “For I know the plans I have for you,” declares the Lord, “plans to prosper you and not to harm you, plans to give you hope and a future.” is LaBree’s favorite Bible verse. God has shown throughout her life that even in the tough times, He has great plans ahead. Her call to EGL has certainly become a large part of those great plans, both professionally and personally. While playing in group band with the middle school students, she began a friendship with their director Scott Paukner. Two years later, many of you joined her in celebrating his marriage proposal after the fall instrumental concert and their wedding that summer. LaBree spends her free time playing handbells with the Exultate Ringers each week, attending concerts, bowling, scrapbooking, and watching auto racing. In the warmer months, especially during summer vacation, she tries to attend as many races as she can-dirt tracks, road courses, ovals, and drag races. She is thankful that God sent her a husband that loves racing as much as she does! During the school year, that time is better spent cheering on the athletics teams with Scott at EGL and Lake Country Lutheran High School. She is looking forward to cheering them on in the years to come and is looking forward to what God has in store for her next!